Preheat the oven to 180 degrees fan bake. Grease 2 muffin trays, enough for 18, with coconut oil. In a small pan cook the bacon and onion for a few minutes until golden. Set aside. In a large bowl, whisk the eggs, milk and salt and pepper together. Spoon the mixture into the muffin trays, they should be around 3/4 full. Bake for 20-25 minutes or until slightly golden on top. 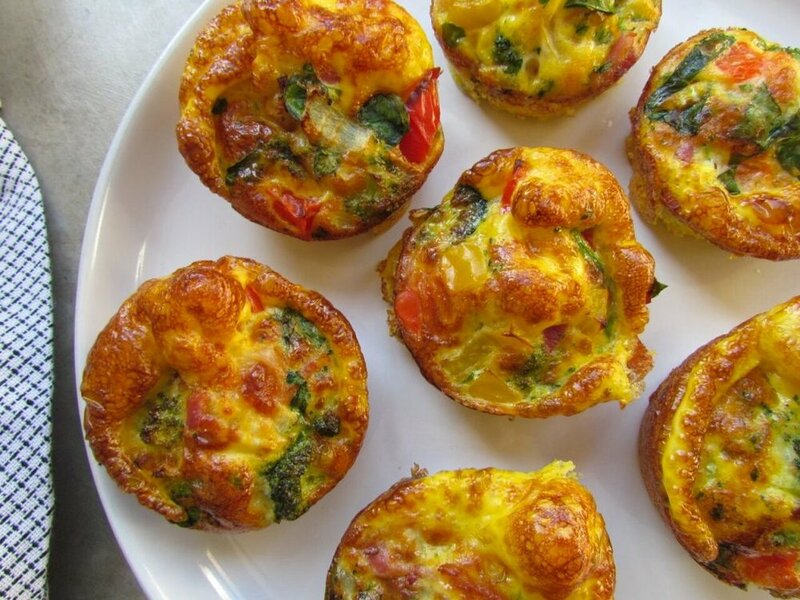 Set aside to cool for 5 minutes and remove from the muffin trays. These can be stored in an airtight container in the fridge for up to 4 days. Any leftovers can be reheated in the oven or microwave. Preparation is key to eating healthy so it is important to always have some healthy and nutritious snacks on you to stop you from grabbing that unhealthy muffin or pastry when you're on the go. 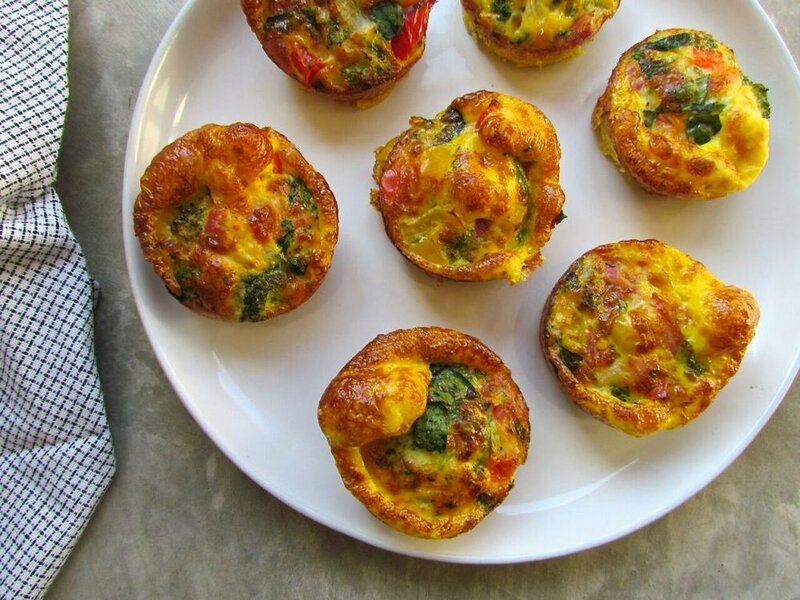 These mini vegetable quiches have become a staple in my house and are perfect to keep in your fridge to enjoy for breakfast, lunch, as a snack or a side for dinner. I will throw in whatever I have in the fridge including mushroom, kale, feta, basil, salmon, sweet potato or carrot. They are extremely versatile. These can also be stored in the freezer and can be used on those days when the kids need something healthy and high in protein for school lunches, after school snacks or for breakfast.